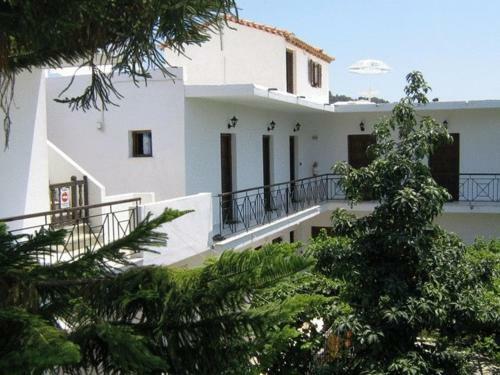 Manolas Studios is located in Skiathos Town, Skiathos. Manolas Studios offers to its guests garden	and outdoor pool. The property provides accommodation in twin room and other might be available upon request. The rooms offer view. Amenities of the rooms include a/c and more. Each unit has own bathroom. There is kitchen. Free wifi is available in common areas of the hotel.